As anyone looking to buy or sell in the Charleston, South Carolina area knows, the real estate market is an intricate one. Within Charleston there are many neighborhoods and sub-sections where prices can vary drastically. This can make it tough for a buyer to find the home they are looking for at the price they can afford. To make the Charleston real estate market easier to understand for our buyers, especially those who aren’t from the area, we are doing profiles on neighborhoods where we sell homes. In these profiles, we will cover the history, community features, and the real estate outlook of these neighborhoods beginning with West Ashley. 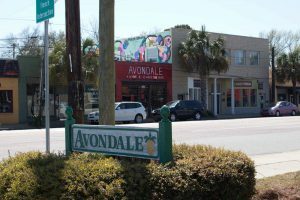 West Ashley is a mix of homes and businesses and conveniently located close to the downtown area. Thankfully the home prices here are significantly lower than downtown real estate prices. This part of the city is one of Charleston’s fantastic suburbs. 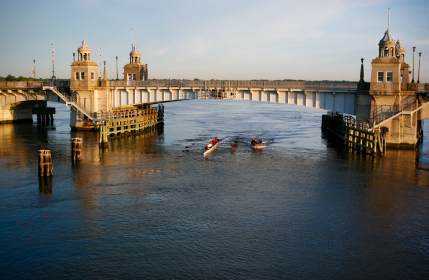 Today it makes up the city’s western border and has attractions like rivers, historic plantations, and gorgeous gardens. It has commercial offerings such as the Citadel Mall, recently opened MakeLab, MOD Pizza and Wild Flour Pastry. This trend looks to continue in 2017, with a Whole Foods opening, as well as plans for many small businesses to open. West Ashley is currently revitalizing itself with numerous apartment complexes, homes, and shopping centers being constructed, proposed, or redeveloped. On our website when searching for homes we have an option for West Ashley or inside and outside the Mark Clark, this is the local name for Interstate 526. The housing prices are more expensive inside and less expensive outside of the 526 corridor (the Mark Clark). When searching for a place to call home in West Ashley you can certainly find what you are looking for, regardless if your preference is for an apartment or a multi-million-dollar mansion. The area has a range of properties for buyers at all price points. West and south of the Ashley River, buyers can find custom built and brick homes, popular with the city’s young workforce. This area also offers middle price range developments from new builders along Savannah Highway (U.S. Highway 17 South) and Ashley River Road (S.C Highway 61). The route along the Savannah Highway on north side of the Stono River also offers many upscale options including large homes and many chic neighborhoods. Buyers looking for large upscale homes with docks and boat access should keep an eye out particularly in the area off Ashley River Road near Drayton Hall, Magnolia Plantation and Middleton Place. While golf enthusiasts should note the Shadowmoss Plantation development, which offers its own golf course. If buyers are on the hunt for more established developments they should check out the Byrnes Downs, West Oak Forest, and Avondale neighborhoods. Or search for homes near Sam Rittenberg Boulevard and Old Towne Road near Charles Towne Landing. The area offers great schools that include Ashley River Creative Arts, Orange Grove Charter Elementary, C.E. Williams, West Ashley Middle, West Ashley High and the private Porter-Gaud. If you are buying a home in Charleston and are looking for the downtown feel, without the downtown prices, you should keep West Ashley on your radar.